Our recipe for Chicken Potato Cutlets will entice your guests. 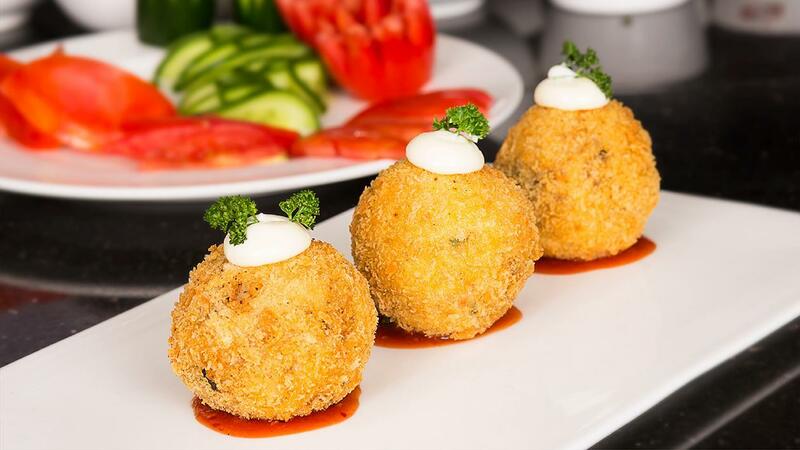 We have poached our chicken in a stock and filled the center of the potato cutlets with a dash of Best Foods Real Mayonnaise. See the full recipe below! Dissolve Knorr Chicken Stock Cubes in simmering water and poach chicken breast in stock for 10 minutes. Remove and cool down. Then shred into smaller pieces. Season the poached chicken and potatoes with Knorr Chicken Stock Powder, spices, Knorr Lime Seasoning, green chilli's and herbs. Divide the mix into 4 balls. Make a cavity in each ball and squeeze the mayo inside and seal it properly to prevent spilling. Coat them with beaten eggs and drench them in crumbs. Deep fry in Rafhan Corn Oil till crisp and golden. Serve hot with Knorr Chilli Garlic Sauce and Knorr Barbeque Sauce.